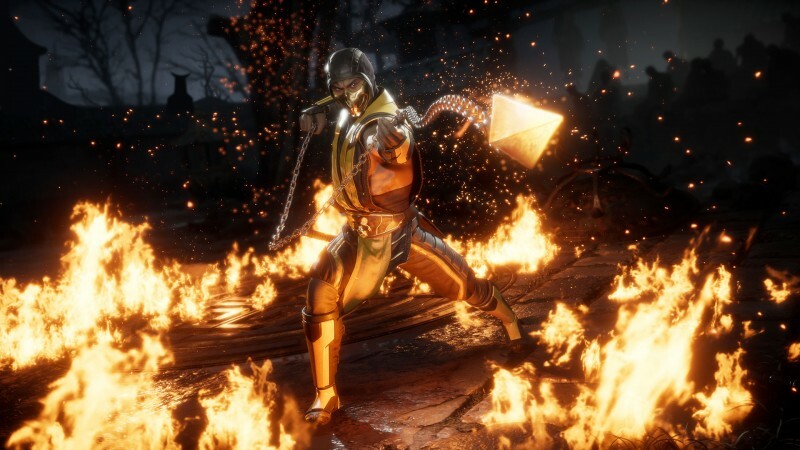 During the Mortal Kombat 11 live stream today, Netherrealm Studios began the event by showing off the first gameplay reveal for the new game. In it, we can see returning and new characters, but primarily focusing on bloodmancer Skarlet from Mortal Kombat 9, Sub-Zero, Baraka, and more. The video also has a bit of the game's story mode, which picks up right after Mortal Kombat X, though creative director Ed Boon mistakenly said Mortal Kombat 9 originally. You can watch various warriors beat on each other a bit in the gameplay video above as more Mortal Kombat nformation starts to trickle in. You can also catch the game's opening prologue, which shows off Shinnok and new character Kronika, the time-bending warrior. Check it out below. Mortal Kombat 11 is releasing on PlayStation 4, Xbox One, Switch, and PC on April 23.